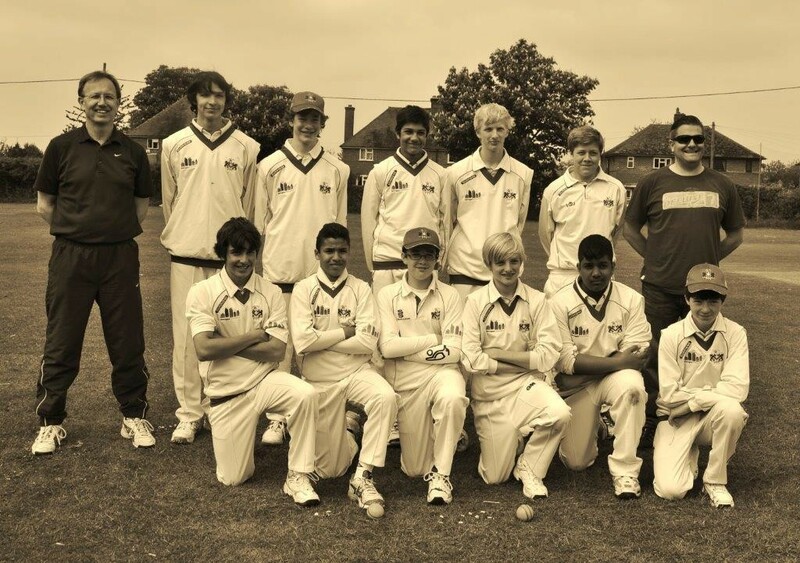 A squad of eleven keen Under 15 cricketers were selected to play in Cambridge in May 2013, and while we had a couple of key players missing all the boys were up for what promised to be an exciting tour. We started things off with a very interesting tour of Hunts County cricket batmakers. There we witnessed some history and the process of manufacturing a bat. The equipment on offer was also far too tempting for us to resist and we were all like kids in a sweet shop and felt forced to indulge and update some of the boys equipment. Unfortunately, Cambridge was unable to produce a fixture for the Saturday, but since a lot of guys hadn't played any outdoor games this season, we put together two dads and lads teams which gave them a good start to the tour and some much needed practise. 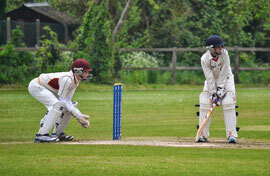 The following day was a long 40-over match against Thriplow Cricket Club. We managed to get a decent session in the nets before smashing rare roast beef at The Green Man. It seemed to work in our favour as we won the toss and elected to bat. Ruwan and Aidan opened in style and put on an 84-run partnership to start things off and keeping Pilkington, the U/17 Cambridge bowler, at bay who had torn into the openers the previous year. 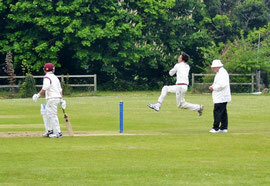 Aidan fell to a slower delivery off Hart and was caught at midwicket. In came Marishque, who supported Ruwan well until he too fell to a slower ball from Hart ending a 28-run partnership. 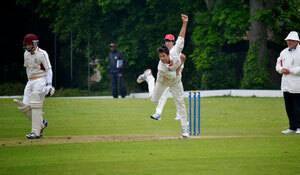 All the while Ruwan continued to attack the bowlers, hitting the loose ball consistently. Anderson. Floris came in next and gave the strike to Ruwan but was also outdone by the low bounce and given out LBW off Woods ending the 14-run partnership. Ruan came in next and tried to get his eye in but also fell victim to Pilkington’s low bouncing deliveries, which finished the 19-run partnership. The innings was not without incident when Pilkington bowled a beamer at Ruwan who was unable to avoid the ball and got hit square in the chest, eventually getting back up after 10 minutes. After hitting the next ball for 4 he then was dismissed for a very well played 82. We were 150 for 6. Greg, Tom and Nic tried to restore things with Tom playing a nice little cameo innings while the others supported well and we eventually finished on 186/7 after 40 overs with Nic and Tom finishing not out. With Ruwan out of the bowling attack, still recovering from his blow to the chest, it was Aidan and Floris who opened the bowling. Floris struck in the first ball of his second over. Both Aidan and Floris continued to restrict the openers with tight bowling and ended their opening spell of 10 overs for 34/1. 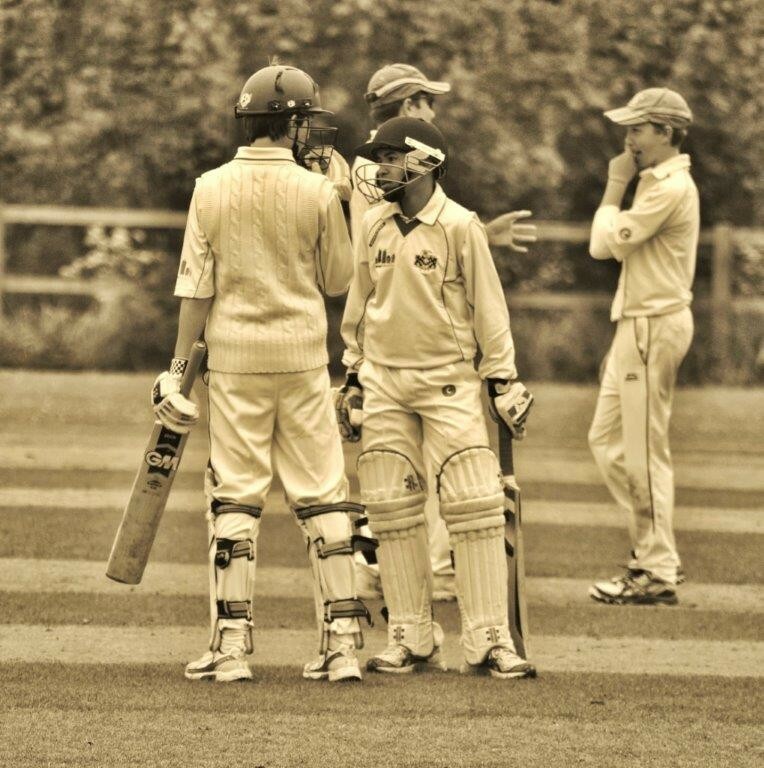 In came Ale who was determined and bowled a magnificent wicket maiden. 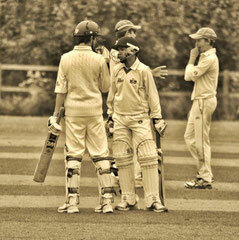 He partnered up with Ruan, who kept it tight and also took a wicket in their 8-over spell of 32/2. Marishque and Ruwan were next. Marishque, although a little expensive in the first 2 overs, pulled it back strongly by taking the leading run scorer Pilkington’s wicket, with Ruwan cleaning up with 2 wickets, thus ending their 9-over spell with 29/3. James was up next taking 1 wicket off the last ball of his spell. Tom then bowled extremely well and kept things very tight, and with both lads taking 1 wicket a piece they ended a very tidy spell of 15/2 in their 6 overs. In came Greg and Will to finish things off with Greg taking a wicket and Will keeping it very tidy. They finished a 7-over spell of 20/1. We eventually won by 53 runs, restricting them to 133, which all in all was a very good team effort against some strong opposition, and a great BBQ to round off the evening was a welcome treat. The following day we woke up to very gloomy and bowler-friendly conditions. Cambridge county gave us a hard pill to swallow by winning the toss and putting us into bat. We lost both openers very early only to see Marishque putting up a fight and scoring a fantastic 26 while regularly losing partners at the other end. We were all bowled out very cheaply. It was just not our day and while we started off bowling really well we just couldn’t hold the catches nor did we have enough runs on the board to defend. 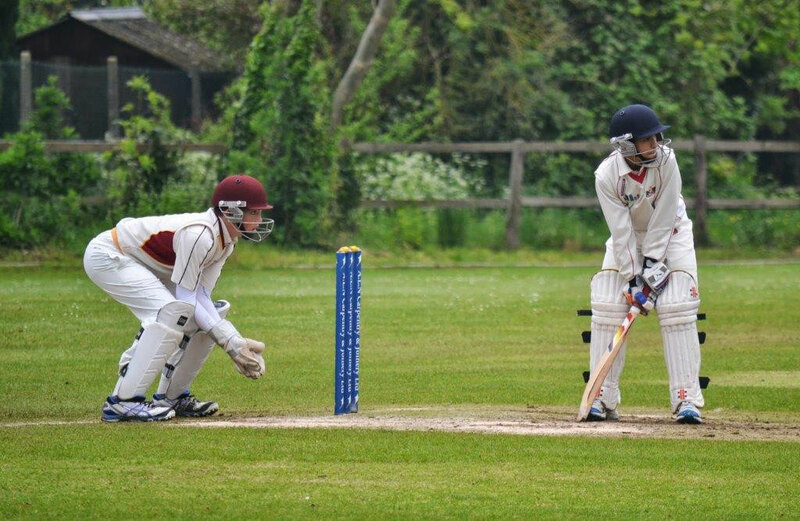 No doubt the lads were a little overwhelmed playing against Cambridge county and succumbed to the pressure as so often happens in the game of cricket. We will be back next year to show Cambridge how good we really are. I am sure all the lads enjoyed and gained a great experience playing against some really tough opposition.